So you want to get big and strong, huh? Really big and strong? You want to know all of the secrets that make your muscles bigger and bigger, and you want them now. [caption id="attachment_4981" align="alignright" width="400"] Pic: bodybuildingology.com[/caption] You want every magical tip and trick in the book, combined with all of the latest training techniques and new fangled exercises. You want to know every top secret scrap of diet advice and every single one of those miracle ingredients. You want to know the best time of day to train and how many times per week you need to be pumping iron. You want to know the low-down on every single lifestyle change you need to make to create an insanely anabolic environment within your body. You desperately need to know exactly what each and every pro bodybuilder is doing and eating to get as big and strong as they are. You want all these secrets, and you want them now… but are you neglecting the ground rules? Have you got the basics straightened out? Well, here they are, the rules you must base your training around if you really want to build top quality muscle. So you go to the gym, and you find a workout routine that works for you. You begin to pack on some impressive muscle mass and your strength soars. Then all of a sudden the progress slows to a crawl. This happens to all of us, and it is when we should learn a vital lesson. But all too many lifters ignore the signs and carry on trudging away at their ‘tried and tested’ routine, constantly wondering why their progress is grinding to a halt. You have to keep your body on its toes. If you keep it guessing, it will keep growing. Constantly repeating the same stresses, week in, week out, leads to your body becoming accustomed to the routines, with little or no progress being made. Hit your pecs with heavy bench press and flyes for a few weeks, then throw in a high rep session, or a few sessions of pre-exhaust, followed by a session or two of only incline and decline. Switch it up and add the shock factor to your training. 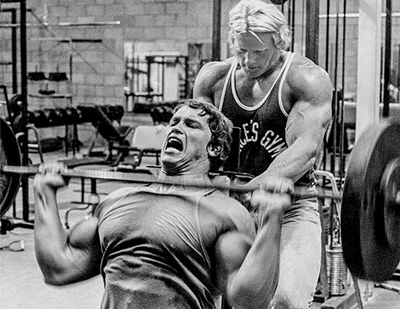 [caption id="attachment_4982" align="alignleft" width="400"] Pic: bodybuilding.com[/caption] Intensity is key to stacking on slabs of muscle and creating a potent anabolic environment. There’s absolutely no point in dragging your feet into the gym to do a bunch of half-assed sets of sloppy part reps. There’s also no point in hitting the gym just to strut about and waste your pre-workout buzz on chatting to your mates or watching gym fail videos on your phone. You’re in the gym to smash the weights and make your body grow. Get your mind focused, warm up well to pump plenty of blood into the target muscles, then make every set count. That doesn’t mean every single set has to go to absolute failure. What it does mean is every rep has to be a full, top quality rep, with proper form. It means you need to keep rest periods down and use that time to shake out and flex the working muscles to hold onto the mind-muscle connection. It’s an old saying but… go hard or go home! You absolutely have to go to failure. Not on every single set, but on a good half of them the target muscle has to reach its limit. Failure is where the muscle learns it must rebuild bigger and stronger to cope with the stress. In fact, to grow to your full potential, you need to go beyond failure. Employ drop-sets, partials and forced reps at the end of your workout to push the muscle well into the red. Taking creatine helps you reach failure and beyond. Sheer Strength Labs Creatine Monohydrate is potent and pure, and it fuels your muscles to grind out that extra, muscle building rep. The weights you lift have to progress to stimulate more and more growth. There’s no point in continuously lifting the same loads. If you’ve been stuck lifting the same weight and seeing no progress, take some time out and when you get back, hit it hard. Every session you should feel an improvement. [caption id="attachment_4983" align="alignright" width="400"] Pic: jtstrong.com[/caption] There are thousands of elaborate exercises, techniques and machines out there. They invent new exercises all of the time, and while many of them have their place in the gym, there are many that are totally useless. Whatever fancy moves you incorporate in your workouts, never forget the basic, compound, big lifts. The big, staple exercises, like squats, deadlifts, bench press, rows, and shoulder press, are well-known and respected for a reason. They work! They build muscle, they improve strength, and they boost anabolic hormones. Never let these moves fall out of your routine. That doesn’t mean every chest session should be all about heavy pressing, but most sessions should be built around the mighty bench. [caption id="attachment_4984" align="alignleft" width="400"] Pic: youtube[/caption] Food food food. 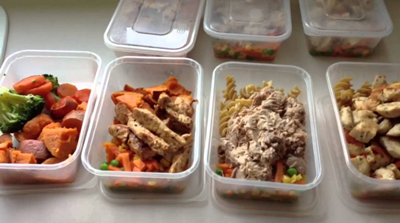 You have to stuff in plenty of calories to keep your body growing. But there’s no point in just jamming anything down your throat. You need to eat smart and eat clean. Your diet should be based on quality protein sources like poultry, eggs, fish, meat and dairy. Your carbs should be clean, and your fats should be good fats. Plenty of fruits and vegetables are a must to keep your body well stocked with essential vitamins and minerals. If you eat rubbish, you can expect to look rubbish. Junk food leads to laying down fat and retaining water while inferior protein sources impact your gains. Sheer Total is a top quality multivitamin specifically engineered for bodybuilders and strength athletes. It contains all of the vitamins and minerals your body needs to recover and regrow bigger and stronger. Your body gives you constant feedback. How many times have you heard people say something like “ I don’t feel like going to the gym today, I feel achy and tired, but I’m going anyway, it’s chest day!”? This is a fatal mistake. Always listen to your body. If a joint or muscle feels sore or tight, take it easy. Don’t be a hero and try to power through a niggle, only to turn it into a full-blown, long-term injury. If you have a cold, stay away from the gym! There is no point in training when your body knocks back. All you do is set your recovery back even further. If you feel really tired, reschedule your gym session. Go in the morning maybe? If the feeling persists, you almost certainly need some time out. You can’t go all-out all of the time. Pushing ultra low rep sets every session will burn you out and lead to nasty injuries. Throw in some easy, high rep sessions to get the blood pumping and mix it up a bit. Remember the vast majority of the time your body knows what it needs. Listen to it. [caption id="attachment_4985" align="alignright" width="400"] Pic: bretcontreras.com[/caption] Rest is vitally important for muscle growth, and in more ways than one. First, you must get a good amount of quality, undisturbed sleep for your muscles to repair and grow to their full potential. Aim for at least 8 hours per night. Don’t have any refined sugar, fried foods, caffeine or chilli in the evenings, as they hinder your sleep. If you can, take a nap in the afternoon as well. Keep these testosterone boosting snoozes under 30 minutes, or over 90 to stand the best chance of waking to a non-groggy head. Now, rest between sets. Keep rest times between 30 and 60 seconds for optimum growth. Allow slightly longer for the really big lifts like squats and deadlifts if you feel you need it to catch your breath. Sitting around between sets not only wastes time but is detrimental to creating an effective anabolic environment. Bodybuilding is a complex sport, in fact, it is a science. It is constantly evolving as the science continually advances. Always keep abreast of these developments and incorporate them into your training. That’s not to say you should jump on every pseudo-science rumor, but the tried and tested products and training methods should not be sniffed at. Always keep an open mind, never think you know it all, this is a surefire path to failure. Watch for all of the latest cutting-edge techniques and tips. All of those marginal gains add up to gains. In the past few years, nitric oxide boosters have received a lot of attention. Sheer Strength Labs Sheer NO2 is one of the best nitric oxide boosters available. The potent mix of scientifically proven ingredients combines to dilate the blood vessels and send blood coursing into the working muscles for an incredible pump.